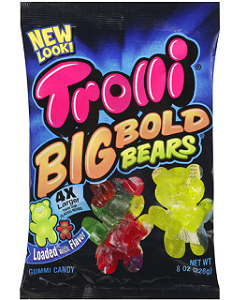 Starting June 4th, Walgreens is going to be offering up a $1 Register Reward when you buy one select Trolli, Jujyfruits or Red Hots 3.5 – 5.5 oz Theater Box Candy – which will also be on sale for just $1 each. That means you’ll be able to score FREE candy after rewards without using ANY coupons! Walgreens shoppers! Starting tomorrow, June 4th, Walgreens will be offering up Sally Hansen nail polish two for $12. Even better, there will be a $5/2 Sally Hansen Miracle Gel Nail Color or Top Coat Walgreens store coupon available to clip to your balance rewards card here or to clip from the June monthly savings book found in-store (starting 6/4). If you haven’t already, print this $1/1 Sally Hansen Nail Color $3.19 + printable coupon while it lasts, then pair with the sale and Checkout 51 offers to score better than FREE nail polish! Walgreens shoppers! Now through December 31st, we have a new monthly Balance Rewards points deal where you can earn 2,000 Balance Reward Points (= $2) whenever you buy ONE IZZE Sparkling Water 4-pack! Plus, we have a couple printable coupons available to make for a *HOT* deal! Final cost 2 FREE + $0.52 moneymaker! Even better, you may even score a coupon for $1.50/2 IZZE Sparkling Water 4-pack beverages after your purchase! Awesome! Starting on Sunday 10/16, Walgreens will have the Trolli and Black Forest Candy for $1.50 and when you buy 1 you will get a $1.50 Register Reward making these FREE after the Register Reward! Buy one box of Boiron Cocyntal Colic Relief, regularly $12.99. Use a $3.00/1 peelie manufacturer coupon attached to the box. If you can’t find the peelie, print a $2.00 coupon instead. It will still be a moneymaker. Earn 4,000 Points, plus an additional 600 Points with the Points Booster coupon from the cover of the weekly ad. 4,600 Balance Rewards Points are worth about $4.60 when later redeemed for store credit. Redeem a huge new $7.00 Ibotta rebate. The final price is a $1.61 moneymaker! This week, select Advil and Robitussin products are on sale for $4.99. The weekly sale price double dips with an unadvertised monthly Points promotion: spend $20.00 and earn 5,000 Balance Rewards Points. Earn the Points by reaching $20.00 before manufacturer coupons but after Walgreens coupons. Earn extra Points by scanning the Points Booster coupon on the front page of the weekly ad. Spend at least $10.00 and earn 50 Points for every $1.00 spent before manufacturer coupons but after Walgreens coupons. For the best deal, buy six products. Buy an assortment of Advil Allergy & Congestion and children’s or adult Robitussin. Use six $3.00/1 manufacturer coupons. Use a $1.00/1 Walgreens Advil coupon from page 40 of the Walgreens Allergy Relief Book. Use a $1.00/1 Walgreens Robitussin coupon from page 42 of the Walgreens Cold & Flu Book. Each Walgreens coupon will automatically apply to every corresponding item in the transaction. Pay $5.94 out of pocket and earn 6,150 Points, later worth about $6.15.